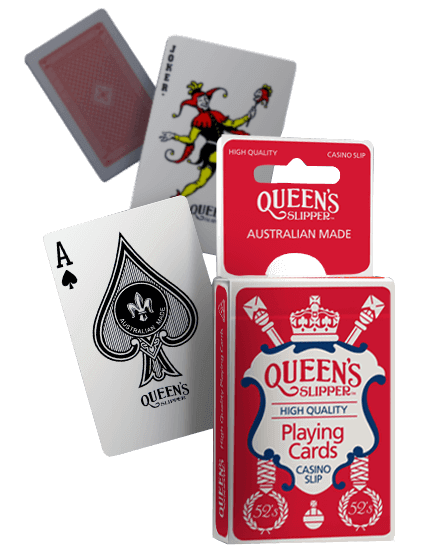 The perfect all-round deck of playing cards manufactured here in Australia. 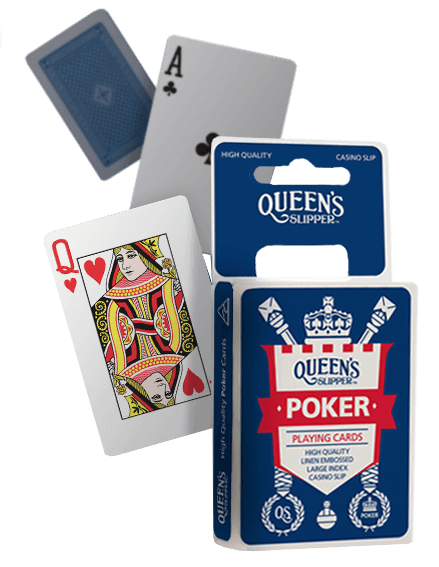 Queen’s Slipper 52’s are printed on high quality, casino slip, coated playing card board. Each deck contains 52 cards and 2 jokers plus a Bridge score card and are available in both red and blue backs. Traditional Queen’s Slipper Poker cards allow you to create a professional, high quality playing card experience for your friends and family. 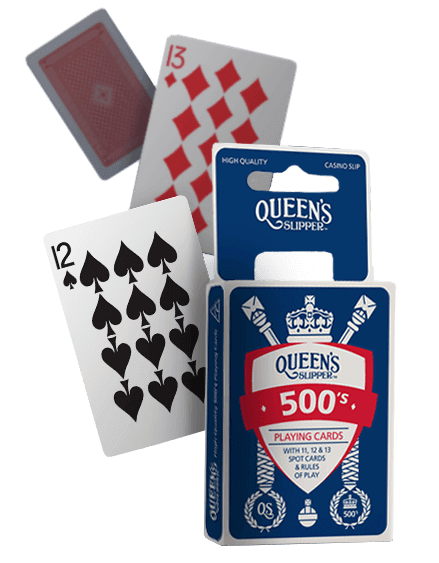 Available in both red and blue backs, you can unveil your inner card sharp with Queen’s Slipper Poker Cards. Come up trumps with Queen’s Slipper 500’s. In addition to the standard 52 cards, the 500’s deck includes Elevens and Twelves in each suit, 2 Thirteens in the red suits, plus a Joker. 500’s come in your choice of red or blue backs, and each deck includes the rules of play. This double-deck contains 112 cards and is the ideal game for everyone who enjoys fast, fun, high-scoring card games. 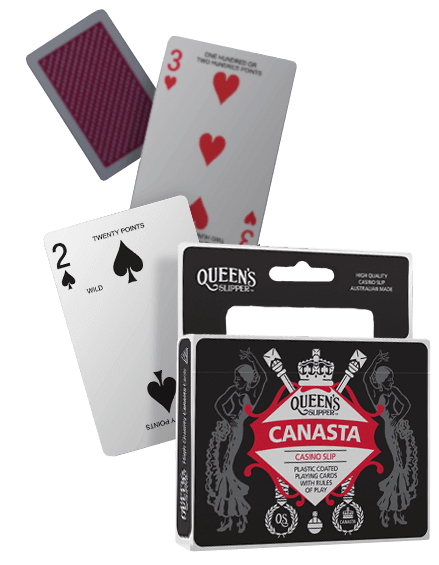 Canasta is suitable between 2 to 6 players.